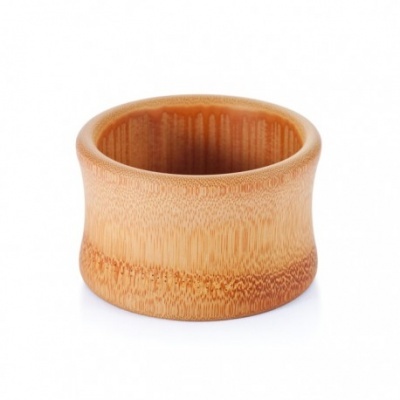 An organic bamboo baby's bowl. The ultimate natural bowl for a baby. It really is a little slice of bamboo - right out of the stem! 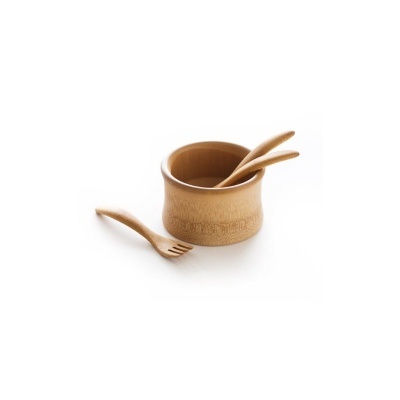 Cut directly from a piece of bamboo it uses the natural plate that forms at the bamboo nodes as its base - giving a lovely curved bottom to the bowl. Ideal for first mealtimes and snacks. 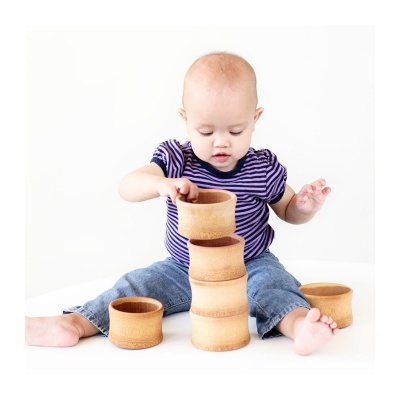 Hand crafted by Bambu, sustainable, organic and fairly traded. Please note that due to the nature of this product each bowl is a slightly different size. Average size 10cm diameter x 8cm high.